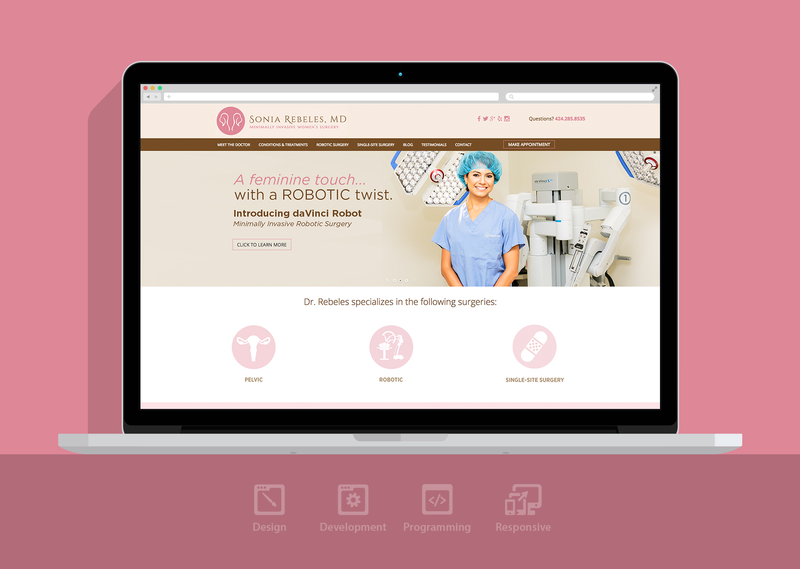 PROJECT GOAL: To design and implement a modern website for a surgeon. Dr. Rebeles, one of K and B’s surgeons specializes in minimally-invasive and robotic-assisted gynecologic surgery. 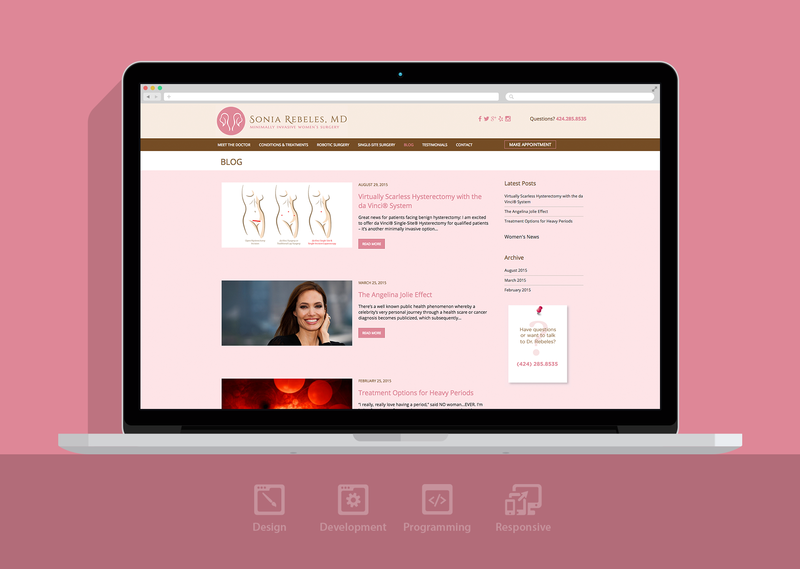 We created a clean, custom site utilizing a pastel palette and unique photos representing the doctor and her practice. The site was very well received and completed in “record time”!